Yes, I suffer from Tonsurephobia. To be honest, when I first came across the word Tonsurephobia, I thought it was the fear of having your tonsils out (ha, ha, ha). But oh my, it is far worse than that. Derived from the Greek words ‘Tonsure‘ meaning ‘ to cut’ and ‘Phobos‘ meaning ‘deep dread or aversion’, Tonsurephobia is the fear of getting one’s hair cut and nothing scares me more. Ok, a few things do, but I’m not talking about them now. I recall having my locks lopped off before I started school. I went from having gorgeous, golden corkscrews, to short, mousey brown curls that clung to my scalp. Who would have thought that nasty colour was hiding beneath my Shirley Temple ringlets? I certainly didn’t, and the precious curls handed back to me in a little pink envelope only added to the sadness clipped from my heart. I was five years old, and my hair was ugly and it would be a very long time before I thought of my hair as anything else. 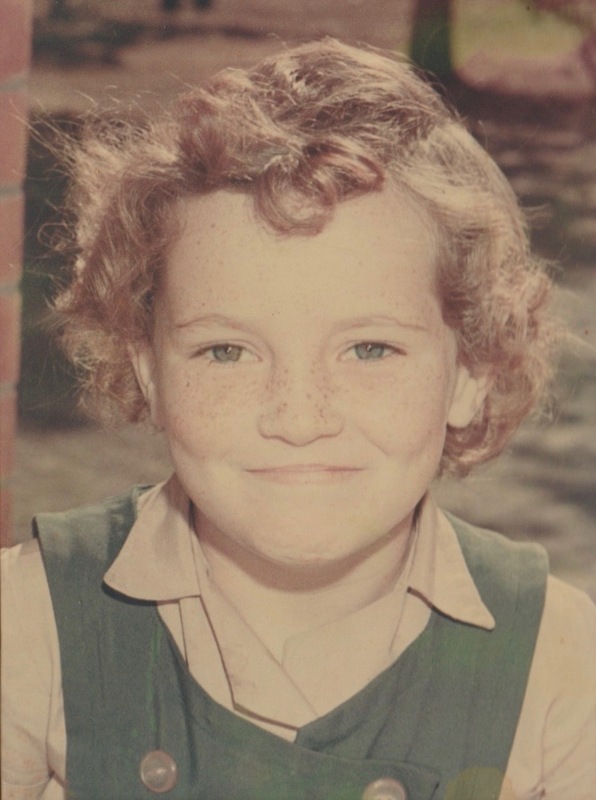 While other girls had lovely long tresses, my mother’s idea of ‘manageable’ was short, shorter and shortest possible, though I do remember having it a little longer around the time I was 10. Sadly, however, that was the year someone (not me) brought head lice home from school and Mum’s opinion of convenience was lining me up at the barbers with my brothers for a ‘short back and sides trim’. I cried as my curls fell to the floor to be swept up and thrown away with all the other rubbish. I remember thinking I was bald. My shadow certainly looked that way and it would be another five years before I recall being taken to a ladies hairdresser again. I think we had vastly different ideas about the meaning of the word ‘fix’ and although I still have my school photo from that year, I refuse to allow anyone else to see it. It was another depressing time and another reason for me to hate going to the hairdresser – or barber – and allowing anyone to come near me with a set of scissors. By the time I reached my late teens, my hair was almost shoulder length, and a wiry, uncontrollable mess thanks to my ill-conceived assortment of brushes, combs and incorrect styling products. I remember being called Scare Bear, Fuzzy Wuzzy, and Hair Bear. None of which were as nice as Clarebear (which I prefer). But this was when I met a hairdresser who introduced me to an afro comb. Suddenly, here was someone who understood, and taught me, that curls need to be encouraged not tamed and I threw out every brush I owned, as well as that hair dryer that never lived up to its claim of ‘taming the unruly’ and I started to embrace the natural curl I had. I also started growing my hair because that was one surefire way to avoid the trauma associated with the cap and scissors. I wore my hair long for decades and although I’m no longer obsessed with its length, I am still paranoid about having my locks cut. Getting it right isn’t easy and there was a time (not so long ago) when every hair cut left me in tears. Yes, real tears, some arriving hand in hand with agonised sobs and this went on for years. How many tears can one shed over their hair? Buckets apparently. 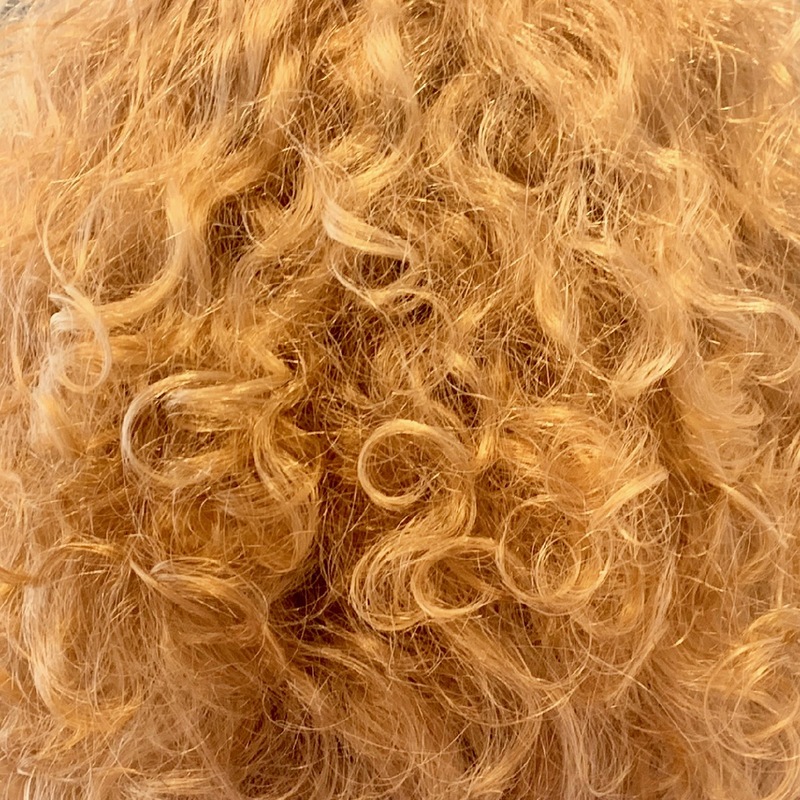 The problem is that on the left side of my head, my hair grows with a slight lack of curl – almost like overstretched springs – while on the right side the curls are much tighter with a superior springiness making up for the lack of curl on the left. I sit in the chair facing that magic mirror that highlights ever facial imperfection I possess, and the hairdresser stands behind me, smiling at her handy work. She grabs hold of the hair on each side of my face, simultaneously pulling it down to ensure it is of equal in length, oblivious of the hairs she has tugged free of my scalp. She places a grossly insufficient amount of curl defining goop in my locks and demands that it be dried off. I can almost hear my hair screaming in agony as she manipulates a device – surely designed for torture – around, into and through what’s left of my locks. Proud of her efforts, she sends me on my way after I’ve given over my precious dollars in exchange for the experience she brings to wielding those scissors of course. By the time I get home, my hair has surrendered any residual moisture and my curls have gone to work, individually, and with a mind of their own. I glance in the rearview mirror before getting out of the car and cringe at the smiling llama looking back at me. Picture any plethora of cartoon characters who put their fingers (or forks) in a toaster and that’s what I look like. Inevitably he does and laughs uncontrollably when he sees the results of my recent maltreatment. I refuse to make eye contact as I continue to make that B line for the bathroom. I don’t want him to see how distressed I am. He thinks it’s my fault that I get so upset over having my hair cut. And so I jump in the shower and shampoo my hair, undoing what’s been done, after which I apply the correct amount of curl defining goop and allow my hair to dry naturally. This takes a while and, eventually, my curls begin to spring up. It’s a contest to see which side will curl the quickest in a race towards my scalp. Inevitably, the right side wins leaving the left side behind and leaving me looking lopsided. That’s when I reach for my scissors. There was that time when the difference in length was so visually evident I measured it – almost 2 centimetres (just short of an inch) and enough to reduce me to tears – again. I’m no hairdresser, and yet, I took to my hair with any pair of scissors I could find and lopped those 2 cms off the left side before I could think otherwise. Did my hair look silly? I can’t remember, but I do recall both sides sat at the same position above my shoulders and that’s what mattered most. Seriously, if I could cut my hair myself, I would. Luckily, these days I have found a hairdresser who understands my hair and, having said often enough that she knows how I like to wear my hair and that those tight little corkscrews on the right side of my fringe will make me lopsided if my fringe is cut straight. My hairdresser certainly does a lovely job. I get compliments about my hair all the time and that is something I dreamed would never happen when I was a child. But most importantly, although I’m not 100% certain I’m over my tonsurephobia, for the first time in as long as I can remember, I can reenter my own home without fear of Dean losing it over his (not so) laughing llama. And in addition, I thought I’d mention, my hair colour is a choice and the result of hiding greys. I am so glad you are loving your hair today. I cut my own hair… I had way toooo many bad hair cuts so I only cut my hair. Thank you – great read! Thank you 🙂 and all the redheads in my family turned white, bypassing gray altogether. Not my genes, they want me to be a lovely, murky shade – I’d settle for silver, but they simply have other ideas. At least I have hair 🙂 no pun intended. Love it, ​Clare. I had very wavy hair when younger, a lot younger, that I used to iron straight, much to my mother’s horror.